Channel Insight: Are Your Sales Compensation Strategies Optimized To Encourage Growth? As we like to point out, when you’re managing an indirect sales operation you are effectively marketing yourself to two different sets of “customers” at once. That is, the end buyers, as well as your partners. Unless you’re in a situation where you have dedicated partnerships, you’re going to have to constantly fight to maintain mindshare among your sales partners, while encouraging them to push your products ahead of your competition. Plus, of course, the more they sell, the more you profit. Smart sales compensation and incentive strategies can hit these targets – if they’re properly optimized. If you’re still on a flat commission system, it may be time to take a step back and try to come up with a better plan to encourage sales among your partners. This will be an extremely individualized process, and there’s a limit to what we can recommend without direct consultation, but here are a few tips. Any modernized compensation and incentive plan must be backed by a robust data-collection system, capable of tracking each individual salesperson and their achievements. This is necessary to ensure that the plan is being fairly implemented across your entire ecosystem, as well as being needed to calculate the various incentives being handed out. This should be centralized, such as in a partner relationship management (PRM) system. If you’re relying on your partners to self-report, you’re never going to have good data. One thing to note: this indicates that companies are rewarding success, rather than punishing failure. This is an important distinction. 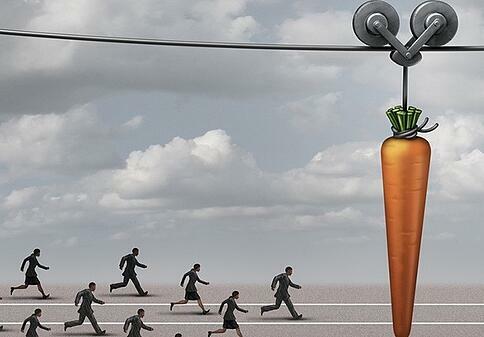 When dealing with sales staff, the carrot is better than the stick. This is particularly true in indirect sales, since their sales staff often are under no obligation to sell your products at all. Keep them happy, or else they’ll focus on other companies’ products instead. Any sales made should, obviously, bring compensation and incentives. However, your compensation strategy should be geared towards most incentivizing sales activities that create dedicated accounts with the highest total lifetime value. If your data collection allows for it, we’d strongly recommend beginning to track clients’ TLV, and look for ways to stack bonuses for sales staff who find ways to keep increasing revenue from important clients year after year. Introducing your partners to account based marketing plans can be a major benefit here. You don’t want to drop a new compensation plan on your partners without warning – it’s begging for something to go wrong, or for a hit to morale. You should involve your partners’ managers or liaisons early in the process, and allow their input to shape your overall plans. This shouldn’t be difficult, as long as you pitch it to them in terms of wanting to find new strategies that encourage their growth, alongside your own. We specialize in helping indirect sales organizations get the most from their ecosystems, with a combination of high-tech solutions and good old fashioned consultation. Contact us directly for a full demonstration of what the LogicBay methodology can do for you!